This very unusual Chippendale Design Edwardian Walnut Pair of Antique Bookcases date from ca. 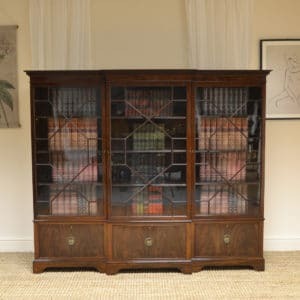 1900 and are by the renowned makers Warings (who later became Waring and Gillows). 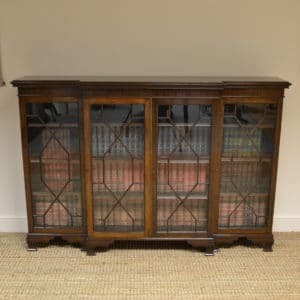 This very unusual Chippendale Design Edwardian Walnut Pair of Antique Bookcases date from ca. 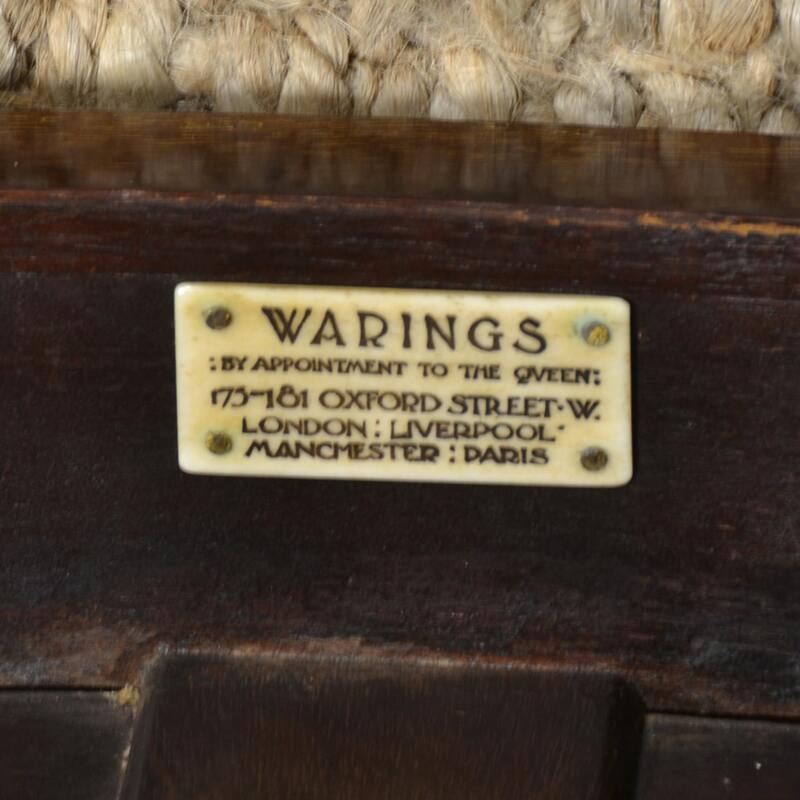 1900 and are by the renowned makers Warings (who later became Waring and Gillows). 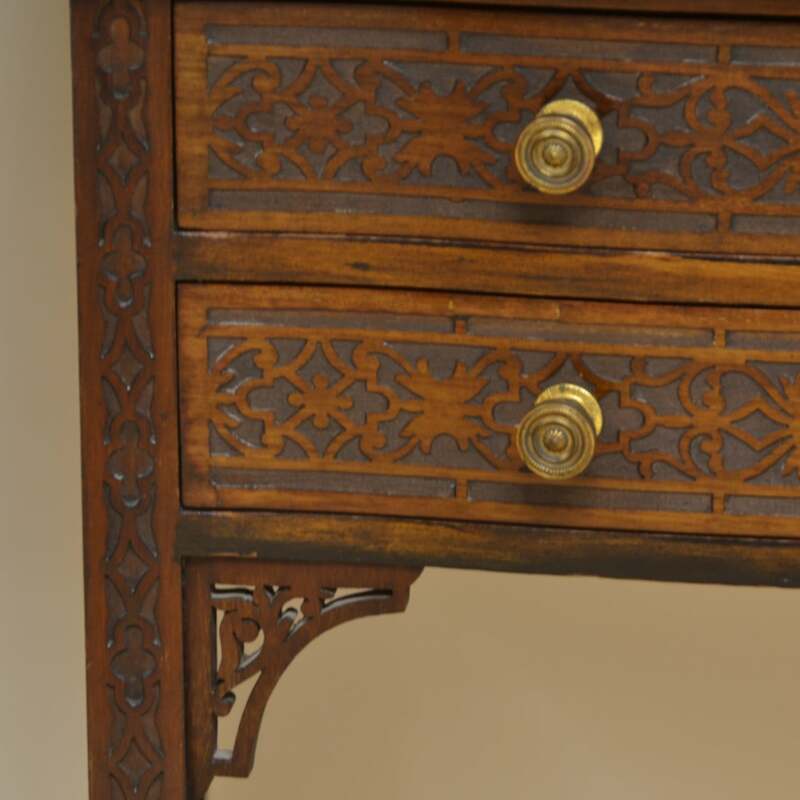 They have a fret work carved pediment above two astragal glazed doors with key and working locks. 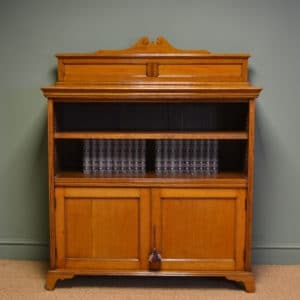 Each interior has two shelves. 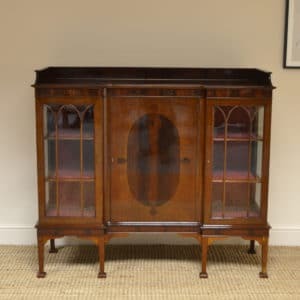 The lower sections are bow fronted and have two Mahogany lined drawers with blind fretwork fronts and original Brass handles. 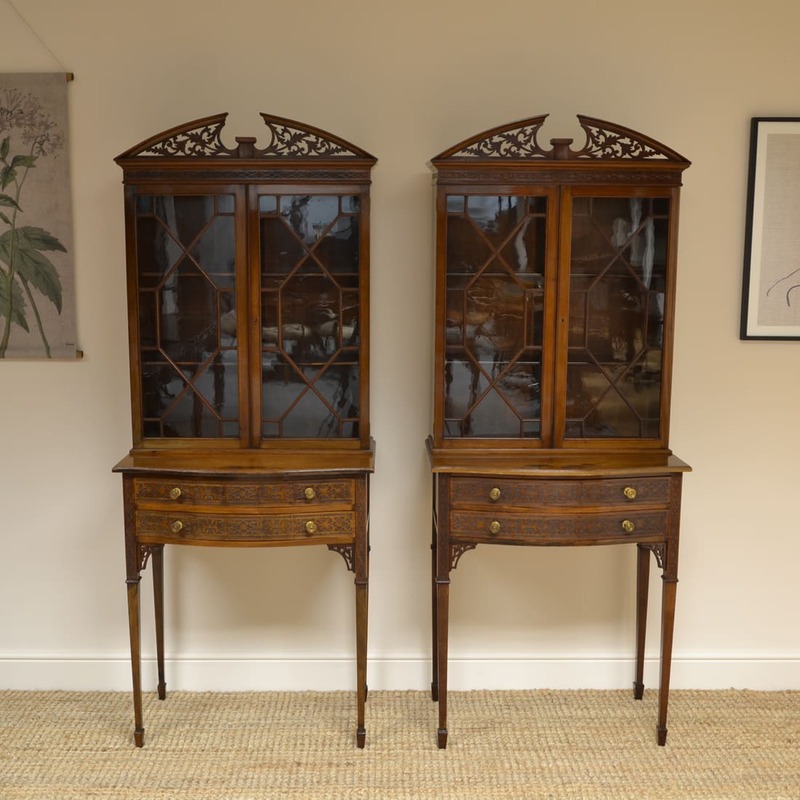 They stand on tapering legs with spade feet, have carved corner brackets, have wonderful charm and character and have aged to a warm walnut shade with a striking grain, good patina, are in very good condition and has been beautifully cleaned using a traditional form of wax finishing.